Germany is allowing citizens to register their newborn children as a third gender –diverse– and even to change their own legal gender, so long as they have a doctor’s certificate. LGBT groups say the requirement is discriminatory. The “diverse” classification is intended to meet the needs of intersex people whose anatomy does not fit typical male or female models, but transgender people naturally see the new category as an opening for a legal recognition like that accorded in countries like Austria, Australia, Canada, and India. The modification to the law stems from a 2017 court ruling that found barring an intersex person who had been registered female from changing their gender to a third option was discriminatory and unconstitutional. The court ordered lawmakers to either create a third gender option or do away with the gender category altogether. 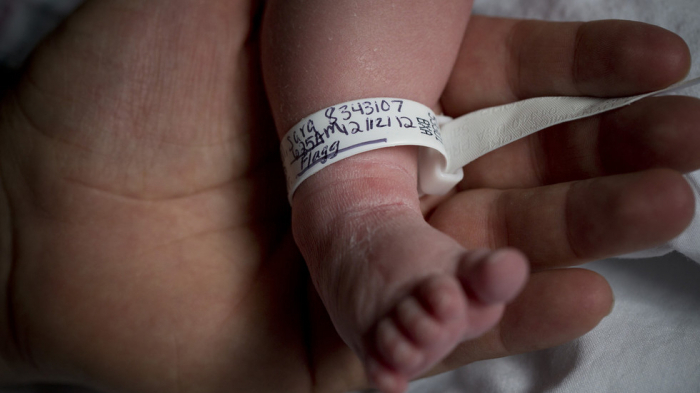 About one in every 2,000 births is intersex. Adults who believe they’ve been misgendered on their legal documents can adopt the new “diverse” designation, but require a doctor’s note testifying to their physical condition, a stipulation that transgender groups are calling unfair. Germany’s Lesbian and Gay Association says the law should take into account “social and psychological factors” in addition to the physical, complaining it only recognizes the biological aspect of gender. The doctor’s note requirement is “preposterous and a sign of distrust in those who don't fit into an old-fashioned view of society,” said Green Party leader Anton Hofreiter. CDU lawmaker Marc Henrichmann approved of a restriction that prevents citizens from “subjectively self-assessing their own gender,” while others felt that it was not strict enough. “Which gender you belong to has been an objective fact since the beginning of time – just like age and body measurements,” said Beatrix von Storch, acting parliamentary group leader of the AfD party. The Netherlands opted to add an “X” gender option to its passport, after a similar lawsuit from an intersex person, and assesses citizens wanting to switch to the new designation on a case-by-case basis.